LEED Credit Basics for FlowGuard Gold Projects | Lubrizol Advanced Materials, Inc.
No one wants to build a wasteful, polluting building. Certainly, you don’t. As a builder, you take pride in choosing materials and methods that make the building the best it can be. In some cases, you might be building facilities that gain LEED certification. LEED, or Leadership in Energy and Environmental Design, is a third-party verification service for sustainable buildings. Whether it’s a mixed-use development or a single-family home, projects get LEED certification by earning points for meeting sustainability criteria. The more points, the higher the LEED rating level: Certified, Silver, Gold and Platinum. LEED buildings use less water and energy, reduce greenhouse gas emissions and save money. For builders, that’s good business, especially as environmental priorities continue to become more important to consumers. While the first building products that come to mind when talking about environmental issues may not be the pipes behind the walls, the plumbing systems can have an impact on LEED certification. When you choose materials for plumbing systems, you should know that FlowGuard Gold plumbing systems contribute to LEED credits, and FlowGuard Gold pipe and fittings have the pipe industry’s first Life Cycle Assessment. The LCA, which is third-party verified and conforms to ISO 14040 and 14044 Standards, outlines the environmental impacts of FlowGuard Gold CPVC. FlowGuard Gold products are more energy-efficient; reduce water waste; reduce chemical leaching and repel biofilms, when compared to other materials. Read how FlowGuard Gold CPVC compares in water quality and environmental performance. Under LEED v4 for Building Design and Construction, the installation of FlowGuard Gold plumbing systems will help project teams achieve the following credits due to the efforts made in understanding life cycle impacts of the product. Material & Resources Building Product Disclosure and Optimization – Environmental Product Declarations. Aspiring to LEED certification is a good exercise in planning and materials discipline. You’re a builder because you want to make a lasting impression, and do so in a way that’s sustainable and conscious of impact on the environment. 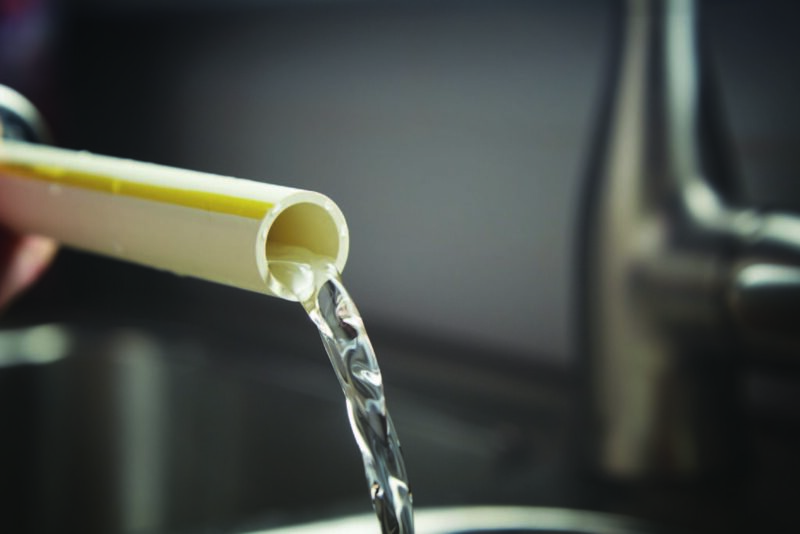 Specify FlowGuard Gold pipes and fittings on every project, and build your sustainable world of the future today. Looking for more information? Get our White Paper about how piping system design can impact LEED credits.